Coach G's training philosophy is to keep athletes motivated throughout their training to insure they have the confidence to achieve their goals in competition. Her goal is to give every athlete as much individual attention as possible while creating a team/group environment that is fun, challenging and rewarding. The athlete/coach work together to set training goals and use performance testing to review progress and adjust training strategies. Unlimited access to coach at no additional charge. Gena has been a triathlete since 2006 and has completed many Ironman, Ironman 70.3, Olympic, and sprint triathlons. 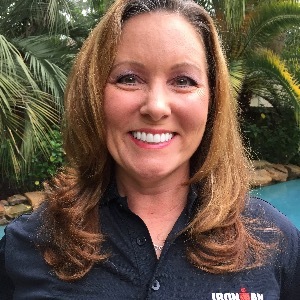 She’s been certified through the American Council on Exercise since 1998, a certified triathlon coach since 2009, the owner of Sweat n Bullets LLC and Head coach for Strike Force Racing (Ironman Tri Club) since 2010. She is also an IRONMAN Certified Coach. Minimum requirement: Heart Rate Monitor, access to 25 yard (or larger) pool if triathlete. Success. Coach Gena Alvarez has been notified of your message.